the incredible outside view of river was the best thing about the stay. really small space but good for an overnight stay before or after golden circle ! 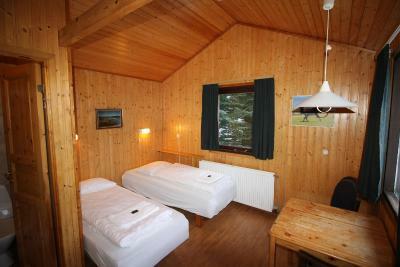 Was the cheapest stay for our entire iceland trip and location is great after our south coast trips. very basic kitchen . You get your own little cabin. Very clean and great location. Breakfast was not included but the price was very reasonable to book our own cabin! We made our own dinner and breakfast so it was a nice break from the hotel and hostel stays while on our trip. Nice river nearby. Very dark, might be good for observing northern lights. Good location, great rate, nice heat. The back of the property was dark and great for viewing the Norther Lights - we saw them. Unbeknownst to me we were not assigned to one of the cabins pictured on their site but in one of the rooms off the back of the office building. Restaurants are close by - you can walk if it's not too cold, wet or windy. Bathroom was large and updated (compared to the room) with a very sizable shower. Don't expect much more than that. This was a very basic room with 4 twin beds - 2 shoved together and 2 more on opposite walls, a desk and two unmatched dining room chairs crammed in it. It served it's purpose as a place to lay our heads before heading on to the next location. The linens were clean and the beds were comfortable (could be we were tired, too). 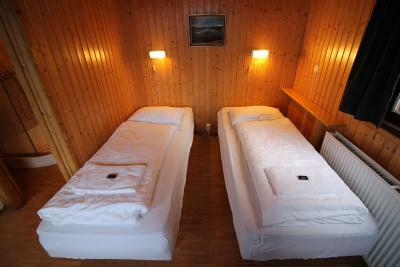 Very nice and clean, comfortable beds and lovely view of the river. It is basic but all you really need. It is also easy to find off the main road. 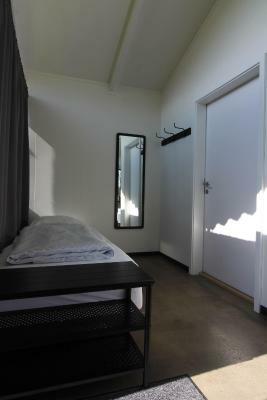 On the other hand, the room where we slept, although perhaps not as sparklingly modernly furbished as other places, was nevertheless clean, equipped with warm, comfortable beds and annexed by a large, squeaky clean bathroom. To sum things up, it more provided everything needed for a restful night's sleep, if perhaps not enough to cook a feast to remember. For me, the quality of sleep more than makes up for any shortcomings in other areas, especially considering the price is lower than the average. One of our best sellers in Hella! 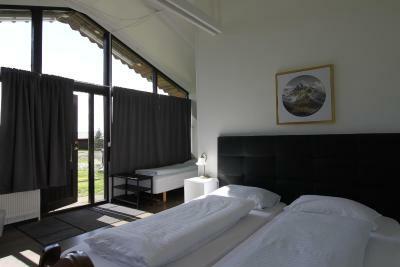 Located along the Ranga River, this property is just off Iceland’s Ring Road. 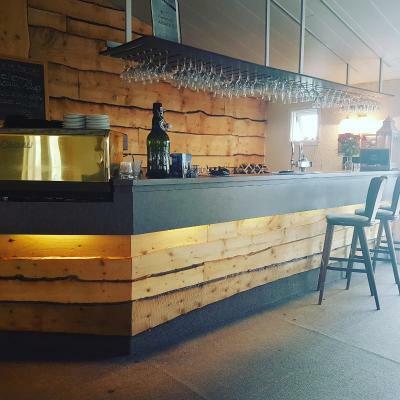 It offers an on-site restaurant with a bar and terrace, as well as basic cottages with an electric kettle. 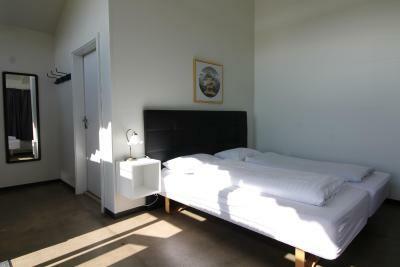 Guests at Cafe Arhus Hellu can choose accommodations with either private or shared bathrooms. All include views of the surrounding nature, some feature cooking hobs and a fridge. BBQ equipment and a children’s playground in the garden are available. Arhus Hellu’s service building has a communal kitchen and dining area. Guests can also enjoy free WiFi in public areas. 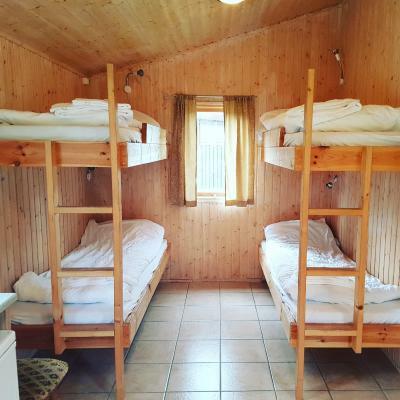 The Great Geysir is a 45-minute drive from the cottages, while Hekla volcano is a 30-minute drive away. Central Reykjavik is 56 mi away. 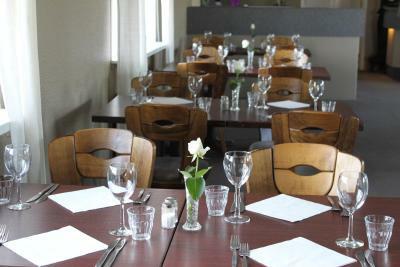 When would you like to stay at Cafe Arhus Hella? 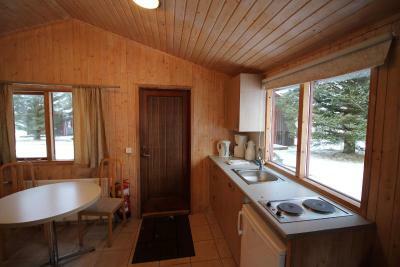 Basic cottage that has a small kitchenette with cooking hobs, as well as a private bathroom. 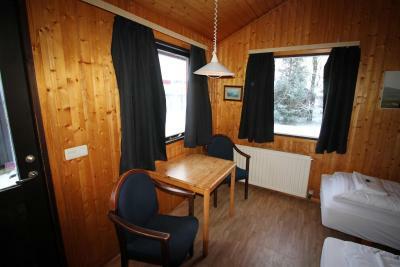 Basic cottage with a small kitchenette and private bathroom. 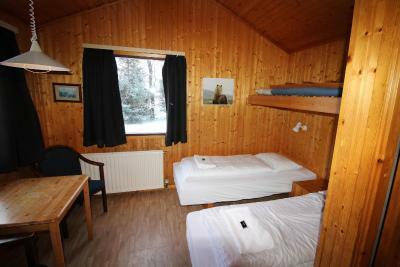 Basic cottage with a small kitchenette with cooking hobs, as well as a private bathroom with shower. Please note that the beds can be pushed together. 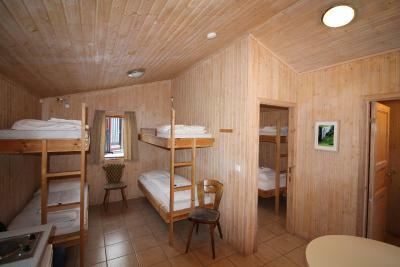 Basic cottage with an in-room washbasin and shared bathroom facilities. Please note that no kitchenware and towels are provided. Árhús is located along the Ranga River,100 km east of Reykjavík on Route 1. 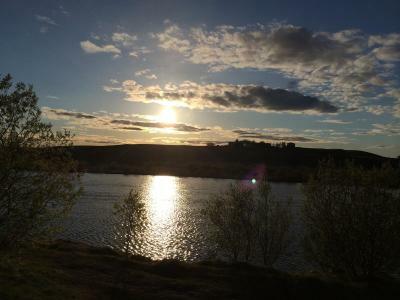 Set in idyllic fields on the banks of the river, we offer cottage and sleeping bag accommodation, in addition to a campsite. On site there is a popular restaurant! House Rules Cafe Arhus Hella takes special requests – add in the next step! Cafe Arhus Hella accepts these cards and reserves the right to temporarily hold an amount prior to arrival. If you expect to arrive outside reception opening hours, please inform Cafe Arhus Hellu in advance. Please inform Cafe Arhus Hella of your expected arrival time in advance. You can use the Special Requests box when booking, or contact the property directly using the contact details in your confirmation. The surrounding area had some trash lying around (in trees and ditches). Our bed linen had some holes in them. We had everything we needed to make our dinner and breakfast, but if you're lazy, you can always go to their restaurant. Nice spot near the river. Very small room for two plus a two year old. We checked in around 9pm. Actually we were very hungry, hoping to get something to eat in the included restaurant, but the kitchen was already closed at this time. Tiny cottage next to a little river. We had everything we needed. The separate bungalows provide privacy, and you don't need to carry about making some noise at night. Nice location by the river, handy for south coast exploration. Highly recommended! Would have been nice if there was some tea in the room, as well as extra towels. Furthermore, some extra dishes and cuttlery would have been nice. There were only available for two people, meaning if you want to reuse them, you have to wash them first. Good location in Hella. Good starting point for exploring South Iceland, as attractions such as waterfalls, airplane crash and Vik are not far from it. Since we arrived in the late evening, we had to check-in at the restaurant, but the staff there was very friendly and check-in was fast. They also guided us and gave us info about facilities nearby and what could be open nearby, as well as if we would be able to catch the Northern lights. Room itself was 1/2 of a whole cabin, wooden and quite comfortable and cozy. Norther lights could be viewed from the cabin itself, as the place is quite dark. However, didn't saw them, as the activity wasn't that high on our stay, and we had to go outside of town to catch a better view. All the rest. When you arrive all signs will direct you to a reception that is not working. There was nobody there. Then, we called the phone available in booking and they told us to wait the restaurant to open so we could get the keys. There was a restaurant beside reception but as it didn't open I called again 20 min late. Then I found out that the restaurant beside reception was not working and we should go to another one before entrance. After us we saw other guests facing same problems. The room it self is not comfortable. One of the mattress was not straight making me sleep very bad. The other mattress was also bad and they put another thin mattress on top of it. The worst part was the shower. It was smelling pee and it looked more like a leak rather than a shower. Almost no water coming out at all!!! We were unable to wash our hairs and take a proper shower. The kitchen facilities were not good as well. Some basic staff just like a bowl to put some pasta were not available. I definitely do not recommend. Since there were no staffs available, we had to stay there as it was... It was so far the worst hotel our group stayed in Iceland. The fact that there is a lake in front of the cottages. 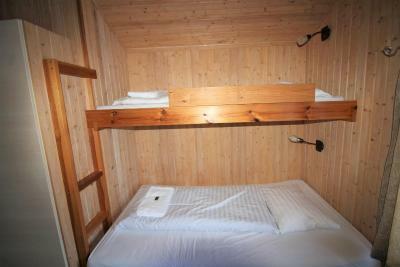 The cabins are tight, they are not built for hanging out in. Pretty easy off the ring road.